ABOUT — MedOne Surgical Inc.
MedOne Surgical, Inc. was founded in 2000 in Sarasota, Florida with the idea that a small, entrepreneurial company is best suited to provide innovative products and respond quickly to market changes. We focus completely on providing innovative, high quality products with customer service that no one can duplicate. Our track record of strong growth and satisfied customers is proof that our strategy is working. MedOne develops, manufactures, markets, and distributes high-quality specialty surgical products worldwide. Our focus is on products for vitreoretinal surgery as well as special instrumentation for neurotology and skull base surgery. 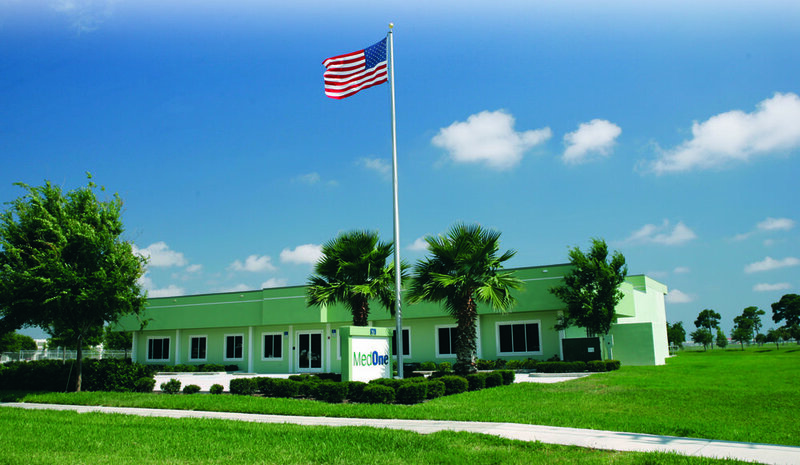 Our headquarters are in a custom built 12,000ft² (1115m²) facility located in beautiful Sarasota, Florida. Manufacturing processes for all single-use products are conducted in our state of the art ISO Class 7 (Class 10,000) cleanroom in compliance with all relevant ISO and FDA Good Manufacturing Practices. We conduct all operations in our facility, including worldwide shipping and distribution. We sell products direct in the United States and work with a network of qualified distributors outside the USA. Please contact us if you have questions or would like to request a copy of our catalog. In October of 2009, MedOne completed installation of a 25 kW solar energy system. This investment now generates about 30% of our annual power requirements using clean, beautiful Florida sunshine. Click here to see our solar output.